Email newsletters, which seemed all but dead at the height of the social media revolution, have made a roaring comeback. Traditional publishers like the New York Times, online specialists like Quartz and even newsletter-only publishers like TheSkimm are winning over droves of readers and creating new revenue streams at the same time with their email strategies. And there are as many newsletters as there are topics to write about. At Revue, we help tens of thousands of people, from big companies to individual writers, publish editorial newsletters that readers look forward to seeing in their inboxes. Their success turns on one metric above all else: Open Rate. Why is the open rate crucial for editorial newsletters? There is a wide range of newsletter metrics available to newsletter publishers: list growth, delivery, open and click rates, return on investment and more. That’s not surprising given the wide range of newsletter types. Some are meant to promote a product or service, while others are editorial. Some come out daily with lots of original content. Others are less frequent and round up links. The right metric to focus on depends very much on the type of newsletter. In an earlier article on MediaShift, the creators of newsletter planning tool Opt-In give a nice overview of all metrics and which type of newsletter they apply to. Editorial newsletters are standalone. Editors want readers to consume the newsletter content right inside their email software, rather than enticing them to click through to the publisher’s website. Opening an email is therefore more important than clicking on a link. Editorial newsletters are all about loyalty. They are intended to be read regularly. And a high open rate signals that readers open a high percentage of issues. Typical monetization options are sponsorships or digital subscriptions. Both require an engaged audience. Sponsors will want to get their name in front of a welcoming audience. And selling digital subscriptions requires regular readers that understand the value. So while a promotional newsletter focuses on ROI, for example, an editorial newsletter needs to provide a consistently high open rate. 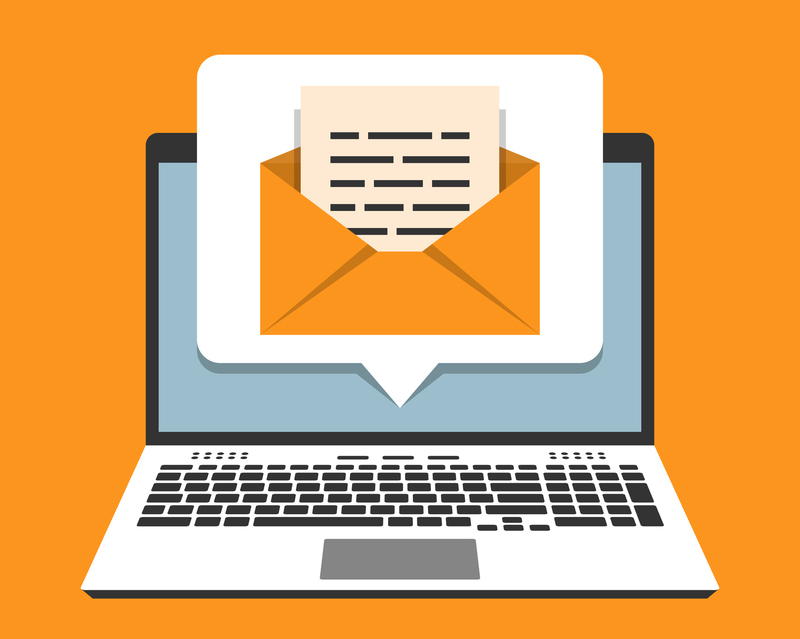 A promotional newsletter aims to convert a few recipients from reception to click to purchase, but not every promotion needs to appeal to every lead. An editorial newsletter, on the other hand, has to provide valuable content to its readers in every edition. For a while, publishers were lured away from email newsletters by the enormous audiences that social media had suddenly made available. Quick and direct access to a seemingly vast number of users on Facebook, Twitter and other platforms was irresistible, while building an email list felt like slow, hard work. Publishers started noticing as early as 2014 that relying on Facebook was dangerous. An email resurgence began. Charlotte Fagerlund described this trend in 2016, citing the independence of Facebook’s algorithm, improvements in spam filters, mobile readability and the personal feel of email as success factors. Around that same time, established publishers started to notice. Andrew Jack of the Financial Times collected many examples of successful newsletters, for example. The New York Times, the Financial Times and many others started expanding their email newsletter offering. And the content was popular: recipients numbered in the hundreds of thousands and open rates approached 60 percent. From Andrew Jack’s research, published in 2016. Today, editorial newsletters on our platform, Revue, have an average open rate above 50 percent. That’s almost twice the industry average for media and publishing companies (22 percent, according to MailChimp) and in line with data from other editorial newsletter publishers. There are four main ways that publishers can achieve such a high open rate. Rather than the generic “[email protected]”, editorial newsletters are sent in the author’s name. Readers will open the newsletter because they recognize who it’s from. They trust the individual and will be compelled to read what they have to say. A great case in point is new media company Axios. Their flagship “Axios Pro Rata” is sent personally by Dan Primack. And readers trust Dan to provide them with interesting content in every issue. Editorial newsletters are often sent at a specific time of the day or week. Like buying the goold old paper, readers get into the habit of expecting the newsletter and spending time with it at a certain time of their day. A regular publishing schedule becomes habit-forming. Editorial newsletters are designed to be read, right inside the inbox. To succeed at that, they provide original content inside the email, not distracting the reader by diverting them to content on various websites. The best ones heavily lean on text, replacing highly styled layouts and plenty of images with the email layout people use to send regular emails to their contacts. Take the Daily Skimm, for example. It’s layout is very simple, composed of only text, headings and links. While links are provided for further reading, you can read enough of it right in your email client and feel sufficiently informed. Publishers of editorial newsletters have a laser focus on the right audience. People who receive the newsletter but never open or read it are considered a distraction and will be removed swiftly. While thorough list hygiene is time consuming, it’s well worth the effort for editorial newsletters. As time goes on, the authors will be able to provide content on exactly the right topics and create a loyal, steadily growing audience. What’s interesting about the most successful editorial newsletters is that they all start small and grow organically. We’ve seen several well-known authors with many existing followers on social media start their editorial newsletter very quietly, almost in private. They like to experiment a bit in the beginning and find out what works in terms of content and frequency. Once they have built up a bit of an archive and found their flow, they start inviting more readers slowly, and encourage replying and forwarding of the emails to create focused growth. That way the open rate of these newsletters starts out very high and never dips below the 50 to 60 percent range. Mark Schiefelbein is head of growth at editorial newsletter tool Revue. He can be reached at [email protected] and would love to talk with you about editorial newsletters.